Well it happened to your Blog Hostess this morning. There were a mess of open tabs, we forgot to hit “save draft” apparently, it all happened so fast. And now we’re too bitter to start over. So our next episode in the Danish Tiaras Tribute Telethon [cause TBA] will just have to wait. 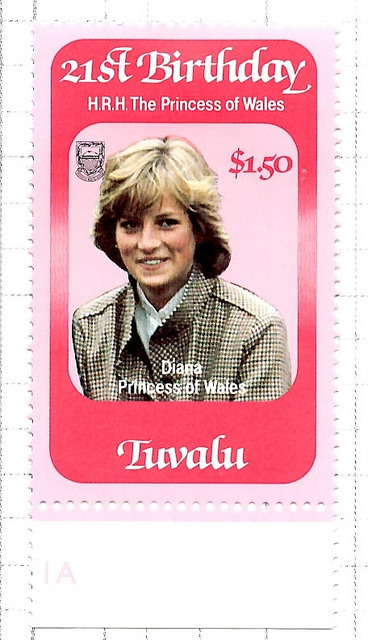 Instead, here’s some fun stamps with royals on them I’ve got floating around in my .jpg collection. 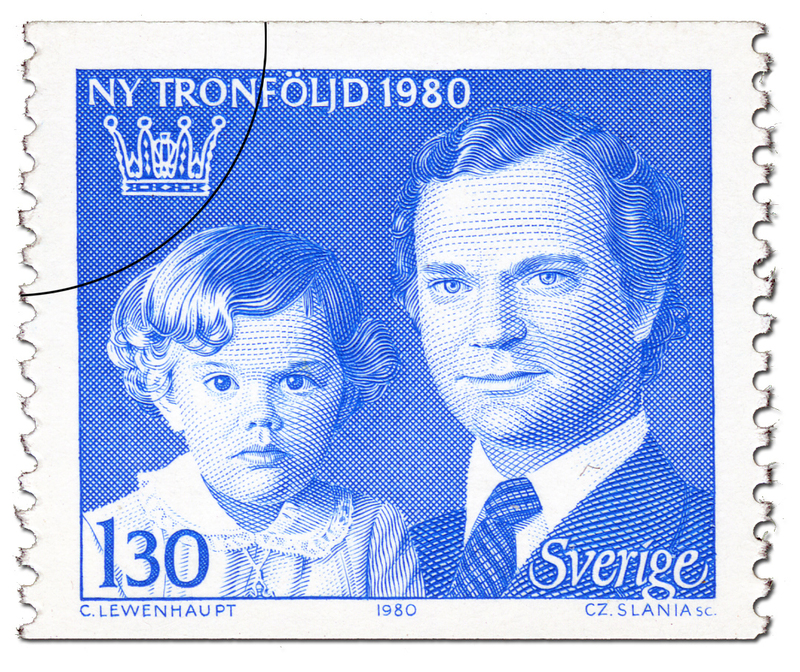 this Swedish postage from 1980 features Crown Princess Victoria and her father Carl XVI Gustaf commemorating the change in Constitution to allow females to ascend the throne. 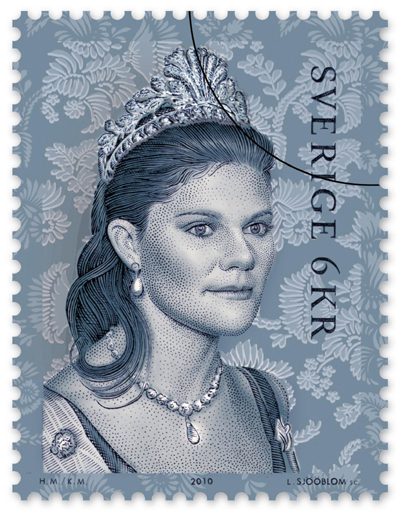 this 2010 stamp co-incided with the Crown Princess’ Royal Wedding and features her in the crowd-pleasing Steel-Cut Tiara. 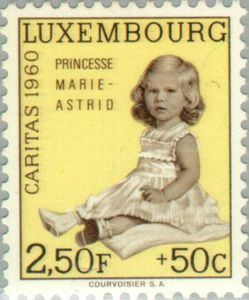 From Luxembourg in 1960, a stamp featuring “Princesse” Marie-Astrid. Using our sub-par math skill, that would make her 6 years old at the time. The wee Archduchess looks a bit younger than 6 in this depiction. Another Princesse Marie-Astrid likeness, this time from 1967. 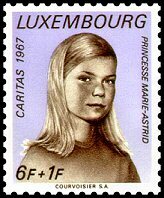 The daughter of the Grand Duke & Duchess of Luxembourg would have been 13 if this stamp is accurate to age and year. Kudos to Marie-Astrid! You were a far less awkward 13 year-old than your Blog Hostess was. And finally, a crowd-pleaser from a far-flung island member of the Commonweath: Tuvalu. Fun Fact: Tuvalu’s web domain was .tv and the tiny, yet savvy island sold the rights to Hollywood for millions of dollars. have a swell weekend everybody! This entry was posted in court and social, royals by zipcode and tagged royals, royalty, stamp collecting. Bookmark the permalink.